Fraudsters destroy seniors’ lives by stealing their hard earned savings. $36 billion is stolen each year and nearly 4 out of 10 older adults in the U.S. are affected by financial abuse. Many seniors would never imagine that someone would lie and cheat to steal their money. By knowing about popular scams, you’ll be able to educate and warn them so they won’t be easily manipulated. 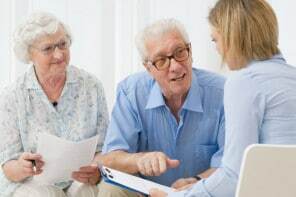 We explain how 3 senior scams based on Medicare fraud, fake prescription drugs, and reverse mortgages work and share prevention tips from the FBI. There are many ways scammers try to take advantage of the insurance system and stick unsuspecting seniors with a big bill or a long fight with their insurance company. Medical equipment manufacturers offering “free” products. Insurance companies or Medicare are charged for products that were not needed and might not have been delivered. Unnecessary or fake tests given at health clubs, retirement homes, or shopping malls and billed to insurance companies or Medicare. Fake or altered medical bills are submitted to insurance or Medicare. Never sign blank insurance claim forms or give blanket authorization to bill for services. Ask medical providers what they charge and what you’ll be expected to pay out-of-pocket. Carefully review your benefits statement. Call your insurer and medical provider if you have questions. Only give insurance/Medicare info to people who have actually provided you with legitimate medical services. Make sure you know if your doctor has ordered medical equipment for you. Selling fake medication is a big business. At best, seniors lose money (which is already bad). At worst, their health could be in serious danger. Who knows what’s actually in those counterfeit pills?! Pay attention to how medication is supposed to look. This includes the packaging and the medication itself. Ask the pharmacist or doctor if the prescription drug looks suspicious or different. Be very careful when buying medicine on the Internet. Don’t buy from unlicensed online distributors or those selling drugs without a prescription. Reputable online pharmacies have the Verified Internet Pharmacy Practice Site (VIPPS) seal of approval, which is provided by the Association of Boards of Pharmacy in the United States. Watch out for promotions, discounts, or “special deals.” These might be fake drugs! Legitimate reverse mortgages do exist, but there’s also a huge amount of fraud with this type of financial product. That’s why everyone, but especially older adults, need to be extra extra careful when considering a reverse mortgage. Seniors are usually targeted through local churches, investment seminars, TV, radio, billboard, and mailed ads. Seniors are offered free homes, investment opportunities, and foreclosure or refinance assistance. Seniors are used as straw buyers in property flipping scams. That’s when the senior pretends to apply for the mortgage and they’re supposed to be paid for the use of their financial identity. Don’t respond to unsolicited advertisements. Be suspicious of anyone who says that you can own a home with no down payment. Never sign anything that you don’t fully understand. Don’t accept money from anyone for a home you didn’t purchase. 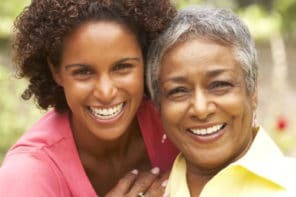 Find your own reverse mortgage counselor through HUD.gov’s Home Equity Conversion Mortgages (HECM) counselor locator (that’s what a reverse mortgage is officially called).